We're happy to announce that the open beta of update 1.4 for American Truck Simulator is now available on Steam!With 1.4 we're introducing a lot of changes to the core game. You'll find a condensed changelog at the bottom of this blog post, but first let's recap the major features that we'd like to bring to your attention (including a surprise feature - trailer selection). Custom steering wheel position - You'll be allowed to modify both the height and the angle of the steering wheel so you can create your perfect driving position. Trailer selection - We have recently changed how trailer data are organized under the hood in the game engine. 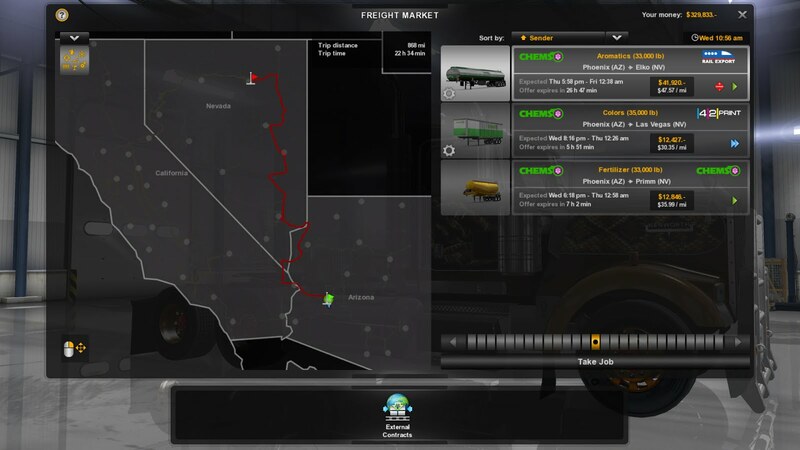 More flexibility will come handy; one trailer 3D model can have multiple looks - different "paints" - textures - for example to represent different companies), and there may actually be multiple trailers compatible with the same cargo type. 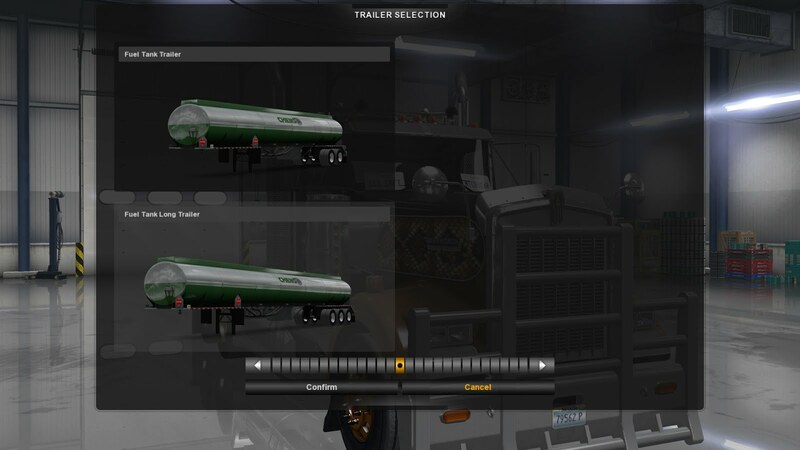 As we are adding new companies, trailers, and cargoes to the game (and so are modders), the old system was no longer sufficient.When you pick a job to transport, the game will now give you a chance to change the trailer look (or the trailer itself) if it finds that there are alternate possibilities available for transporting given cargo. Cruise control is not disabled by the throttle anymore. Interior camera zoom - please set the key/button for zoom in Options → Key and buttons → Camera controls → Zoom interior camera. Option to set preferred job length generation in options. Option to set split shifting input. More unit display options (volume, consumption). Low air warning sound added. Customizable cabin lights and horns on all trucks. Change trailer looks to paint jobs. You can find the beta in the public_beta branch on Steam. (Steam client → LIBRARY → right click on American Truck Simulator → Properties → Betas tab → public_beta - 1.4 public beta). No password is required.Please keep in mind that this is still only a test version of the update: it's perfectly okay if you want to hold off until the final release. But if you are curious, don't mind a little instability, and want to assist us in the polishing process, we greatly appreciate your help. Please report any bugs on our forum.